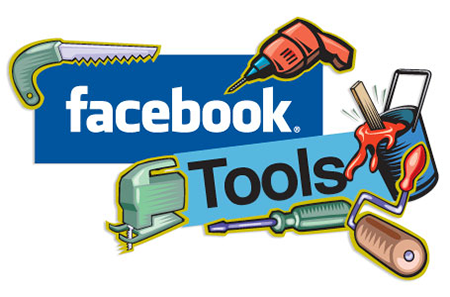 You are here: Home / SEO / Analytics / What Businesses Ought To Know About Facebook Insights? Want to know what audience likes your posts? Need to analyze engagements of your posts? Then, Facebook Insights can help you get all these hard data to help you effectively optimize your marketing activates on this leading social media website. The Likes section allows you to find out the number of likes you got on a particular date. You can just move the pointer on the graph and it will show the exact number of likes you received on that particular day. This makes it possible for you to analyze the number of likes or why your engagement dropped from the last day, week or month. With ‘Likes’ tab, you can get critical details about preferences of your audience. For example, if you are a home improvement contractor and the product shot of one of your screen doors get the maximum number of likes, you will know that the item is what you should be allocating more capital for the next production planning. Engaged Users shows you the success graph of your posts. With this metric, you get to know the number of unique users who liked, commented, clicked or shared your posts. You can also use this tab to get more specific information about posts that take your viewers to a page. The value you get from this formula enables you to compare performance of posts based on their percentage and find out the highest performing posts. ‘Mentions’ is yet another tab of Facebook insights that tells you about how many times you are tagged in posts of the users. Since it notifies you about when and who used the name of your company, you must consider it as important information to position your brand to the people who are actively searching in your industry. For example, if one of your followers writes about one of your products in his post, you can share with him the exclusive discount offer on the first purchase of that particular product. This will help you attract all those interested people who want to buy your product and avail the meaty discounts. One of the most note-worthy facets of Facebook Insights, the People tab lets you know about your fans, their age, region, gender and language. With this tab, you will also get to know the users who have interacted with your posts in the past several weeks. It also segregates the people in terms of reach and engagement. So you are able to locate a finely-grained audience to pitch your brand and increase your outreach. Using the People tab, you can split your audience into men/women, American/British or teenager/middle-aged. In this way, you will be able to promote your products to right type of audience matching with their preferences. Such a marketing method will translate into better engagement rate and higher conversions. Want to know the right time to publish your posts? Then you should use this tab to serve you the purpose. With this tab, you will get to know the right time when your target audience is highly active. You can also switch to ‘Post Types’ to know the type of posts that get traction in your audience. The ‘post’ tab features an ‘All Posts Published’ table where you can compare posts based on their type, reach and engagement. You can use this information to zoom in on the type of posts that are getting higher reach and better engagement. Similarly, you can click on a specific post mentioned in the table to get insights on its number of clicks, comments, likes and shares. Do you need to perform a competitive analysis? If yes, then this tab can help you do the task with ease. With this tool, you will be able to drill down the facts about your competitors. Here you can add up to five pages of your competitors and you will be able to perform a comparison of how many likes, comments and shares a competitor got during a particular period of time. As a business, you can use ‘Pages to Watch’ to analyze the type of content that is attracting more fans for your competitor. Based on the available data, you can then optimize your posts with the content that will likely increase your engagement with your intended audience. Facebook Insights is a fantastic tool to get quantifiable data about your Facebook marketing. Follow the above-mentioned tips to make the most out of this awesome application by Facebook. About Author: Eileen Burton is a digital marketing manager for an online startup that offers assignment assistance,academic and career consultancy. She’s a passionate writer and enjoys covering a wide variety of social media topics including facebook ad tips, pinterest marketing, etc.